The Medical Loss Ratio (MLR) is the percentage of premium that the insurance carrier spends on health care. Generally, the MLR is the amount spent on medical care (claims, clinical services and quality-improvement activities) divided by the amount of net premium (premium after subtracting certain license fees and taxes). Starting with 2011 policy years, carriers must demonstrate that their MLRs meet the new minimum standards: 85% in the large group market or 80% in the small group market (or individual insurance market). The MLR standards apply only to insurance plans based on the carrier's total policies in each market segment in each state. There is no MLR requirement for self-funded plans Tips and information for handling the rebates: ERISA health plans: Employers that sponsor an ERISA health plan must handle any carrier rebate they receive in accordance with Department of Labor guidance regarding plan assets. If employees make contributions (payroll deductions) to the plan, then a portion of the rebate must be treated as a plan asset since it is attributable to contributions made by the employees. The ERISA rules require that plan assets must be used exclusively for the benefit of the plan participants and beneficiaries. 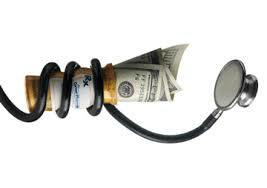 In determining how to allocate the rebate, first determine who paid the premiums for the health insurance policy. If the premiums were paid from a trust, the rebate should be deposited in the trust and used in accordance with the trust agreement. If the premiums were paid 100% by the employer, the employer can retain 100% of the rebate. If the premiums were paid 100% by the employees, the employees should receive 100% of the rebate. If the premiums were paid partly by the employer and partly by the employees, the rebate must be split between the employer and the employees. We recommend using a proportional share of premiums paid by the employees. For example, if the premium cost share between employees is 25% employee-paid and 75% employer-paid and the rebate received is $10,000, then $2500 should be rebated back to the participants and the employer could retain $7500. If distribution to employees/ former employees (rebate under $1,000) is not cost effective, you may utilize the rebate for other permissible plan purposes including applying the rebate to future patriciates premium payments, or benefit enhances e.g. wellness luncheon/ seminars. The Jordan Insurance Group however, cannot provide legal advice regarding an employer’s obligations and you may wish to consult your attorney or accountant in light of their specific circumstances. Employers may also consult the Dept. of Labors guidance for group health plans subject ERISA in technical release 2011-04, available at http://www.dol.gov/ebsa/newsroom. Please reach out to me if you have further questions.